Pavements are a common sight from villages to town and cities. A pedestrian walkway, they should be safe for us to use. This means whoever is responsible for the pavement needs to keep it in good condition. But this, along with other issues, doesn’t always happen and this can lead to a trip on a pavement. If this has happened to you, the assumption you have made may be that there is no one to blame for the accident. This may not be the case. Most pavements are for public use and maintained by local government, a town council or your local authority. They may do this themselves, using their employees or they may contract this work to a private maintenance company. As the body responsible for maintaining pavements, they have a duty of care to the public that the pavements will be in a fit state to use, free from defects and hazards. Ask yourself this question – what caused you to trip and fall on the pavement? Were there piles of rubbish that had not been cleared away obscuring your view? Was the pavement uneven, and clearly in need of remedial work and upgrade? If so, you could look at suing the council for uneven pavement if they have failed to carry out an uneven pavement repair or corrected uneven paving slabs. Were there other obstructions and hazards that caused to you to trip? Depending on the circumstances of your pavement accident, you may be able to claim compensation for the injuries that you suffered from whichever body – the local council, for example – who is responsible for their maintenance. It is easy to think that there is ‘no one to blame’ or ‘it is just one of those things’. Read on to find out more about making a claim after tripping on a pavement and learn what the process of suing compensation entails. And with Accident Claim’s no win, no fee service, you can be confident that you are not taking a financial gamble. Pavement Accident Compensation Claim – What Is It? What Makes Up a Pavement Accident Claim? 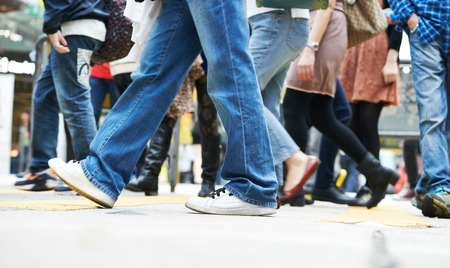 What Reasons Underlie a Compensation Claim for a Successful Pavement Tripping Accident? How Much Compensation Could You Receive as a Result of Being Injured After a Pavement Accident? Why Choose Accident Claims for Your Pavement Claim? Like most things in life, the more research and information you gather beforehand, the more likely you are to be successful in your end goal – and the same is true when it comes to making a claim for compensation after tripping on a pavement. This guide has been written with this in mind. It ensures that you know everything about the process, including how to start a claim, who the claim will be against and the evidence or information you will be asked to provide. The process starts the same, whether the case is for personal injury after a car accident or for someone who has been hurt after tripping on a pavement and that is, with our free consultation. This process is a chance to assess your potential claim, to look at what happened, how you were hurt and the circumstances that led to you tripping. But it is also a chance for you to talk to us, ask us questions about your claim and to discuss any issues or concerns you may have. This free consultation can be done over the phone. We take our time, so you get chance to discuss everything you need to. We’ll ask you questions about what happened, how you were hurt so that we start to build a clear picture of what happened. It is important we get all the facts because it is this information that we pass on to a personal injury solicitor if you decide to go ahead with your claim. You may also be required to undergo an independent medical assessment as part of your claim, not something that should worry you at all. This appointment is often arranged locally, to minimise travel and disruption to your rehabilitation. You’ll find with Accident Claims that we always put our client first. Our service will revolve around you and your claim. By the end of the consultation process, we’ll let you know what options are open to you, including whether you have a claim for personal injury compensation. When a pavement or another surface is badly maintained, it is possible that people may trip. A pavement accident compensation claim can be made by someone after they have slipped, tripped or fallen on a pavement, car park or another kind of walkway. Tripping and falling can result in injury and it is these claims that we deal with on a regular basis. Some accidents can result in minor injuries, although still painful and unpleasant. But for other people, a trip on an uneven pavement has led to serious injuries such a broken bones, concussion and back injuries too. There are cases of people suffering long-term injuries too, such as paralysis, although these cases are thankfully rare. Weather – inclement weather, from lashing rain to ice and snow, impact on the pavement materials. This leads to potholes and uneven ground that can contribute to someone falling. This may lead to compensation for falling down a pothole. Likewise, we also work with people to make claims after slippery on icy pavements too, a situation that has led to many people suffering injuries such as broken bones. Poorly lit areas – it is also possible that poor lighting led to your trip. In some areas, lighting is essential, especially if you felt you had no other course of action but to take that route. Stumbling about in the darkness on an uneven pavement that led to a trip and injuries could be the basis of a pavement accident compensation claim. Councils and businesses responsible for maintenance on their own land must ensure that it is safe to use, and that includes ensuring there is adequate light for when it is dark. Poor maintenance – a local authority, council or private business has a duty of care to ensure that pavements and car parks etc, are well maintained and safe for use by the public. There are cases that due to budgetary constraints, maintenance work was not carried out. However, if there was no action taken to alert you of the hazards and risk, and you fell, hurting yourself, you could have a claim for compensation. A dwindling maintenance budget is no defence! Insecure pavement slabs, damage from rain or ice and so on, are all issues that local council maintenance teams and private landowners are expected to deal with in a timely manner. It is understandable that getting around to fixing the problem can take time but in the meantime, they are expected to take action. This could be in the shape of roping the area off or placing warning signs that are prominent or even shutting a part of the pavement until repairs are made. When this doesn’t happen, people can easily trip and when this results in injury, there could be a claim for personal injury compensation. We work with people who have tripped on pavements and who have been hurt. As a company specialising in personal injury compensation claims, we make sure that our panel of no win, no fee solicitors have the expertise and experience to deal with these kinds of cases. We are here to help you make a claim for tripping on a pavement, whether that is a public pavement in the local town centre, a trip on school property or a slip in a supermarket car park, we are here to help. It isn’t always easy to prove negligence but that doesn’t mean you ‘shouldn’t bother trying to make a claim’. If you want to know how to sue the council for negligence, contact our team and talk through your pavement accident – don’t forget, this is a completely free process, for which you won’t be billed. General damages – this covers the pain, hardship, mental anguish and other general damages. In effect, this is covers everything that makes up your physical injury, including any loss due to property damage too. Care costs – if you were hurt and needed help or assistance around the home, this is covered by this section of the compensation settlement. For example, you may have paid for personal care or a family member had to take time off work to look after you for a few days. Medical expenses – the NHS is free at the point of contact, but you may have had other therapies and treatment that you had to pay for. This would include prescription charges in England too. Travel expenses – these costs may have been incurred as you travelled to and from hospital appointments and so on. It covers travel expenses that relate directly to your injuries and your pavement accident. Loss of earnings – if you are unable to work after your accident, you can claim for loss of income. Loss of future earnings – if it can be proven that there will be long-term financial effects relating to your injuries, it is possible to claim for future loss of earnings too. The local town council, local authority, or a private business are just a few examples of the organisations that are responsible for the maintenance of pavements, car parks, bridleways, footpaths and so on. In order to make a successful compensation claim for injuries after a pavement accident, it needs to be proven that whoever was responsible for maintaining the pavement etc., that they had failed in doing so. In other words, they were negligent and their duty of care to footpath users had been breached. Damaged, insecure, poorly or incorrectly laid paving stones, kerb edges, manhole covers and other street furniture. Uneven pavement due to subsidence. Cables or pipes protruding from the pathway that were not clearly marked as a hazard. Obstacles blocking the pavement, leading to a trip or fall. A failure by the council, maintenance teams or business in providing hazard warning signs or failing to provide barriers around damaged or unsafe areas of pavements. Essentially, many of these cases for compensation claims could have been avoided if there were adequate hazard signs alerting people to the dangers and risks posed. You are recovering from an accident and nursing some unpleasant injuries. The last thing on your mind may be to start legal proceedings. But even if you are expected to fully recover from your accident in a matter of days or weeks, there is still the metal distresses and the disruption to your life. Talking to a solicitor about your accident will bring back unpleasant memories of what happened but with our many years of experience in helping people to claim compensation, we understand the need to make this process as stress-free as possible. To be in with a chance of making a successful compensation claim for a pavement accident, you need high-quality legal advice from the right people. You also need to gather together some basic information. Where, when and how was the accident caused? In other words, why did this incident occur? Was it because there was a hazard and no warning signs? Was the pavement poorly maintained? What about lighting? What were you doing leading up to the incident? What happened after you tripped on the pavement? Were you alone? Were there any witnesses? Did anyone come to help? Who do you think was responsible for the accident? Could you have taken a different course of action or a different route? Did the council or landowner do anything? Did they fail to do something which could be deemed as a contributing factor to what happened? Were you injured as a result of the accident? What are your injuries and how severe are they? How has the accident and your injuries affected you, your life, work and income? Have your injuries restricted you in any way? Have you needed help as result of your injuries, e.g. a family member having to look after you or carers? What is the longer-term outlook – are you expected to fully recover from your injuries caused by the pavement accident? No win, no fee means that there is no financial risk to you as you make a claim for compensation. Making a claim for personal injury compensation can be a lengthy process, taking many hours of research and legal argument to secure the financial settlement that you deserve. Some cases are not contested, as such, with the local council or private company admitting they were negligent in the maintenance and upkeep of the pavement or area where you tripped.But this isn’t always the case. And when this happens, we would need to vigorously pursue your case. This legal work can cost thousands of pounds. At Accident Claims, we don’t charge an upfront fee, another important piece of information. And our no win, no fee service is genuinely that. If we lose your case, you don’t owe us anything. And don’t forget there is the free consultation process right at the start. With all the facts and information before us, we can better understand whether making a claim for compensation is something that has the potential to be successful. We don’t think that anybody who has been hurt through no fault of their own should be the person who foots a financially risky legal process in order to claim the compensation they are entitled to. Thus, we always stick to the no win, no fee, no upfront costs as a way of working. It is important to understand that the figures provided below as a guide to council compensation payment are not fixed amounts, but a guide to what you could be entitled to. How much compensation for a fall differs wildly depends on several factors, including the nature of your injury or injuries, their severity, how they affect you now and their possible effect on you in the future. This is why if you’re looking at suing the council for damages, you should contact the professionals first. Ankle injuries £1,000 to £53,000 A sliding scale for ankle fractures and injuries, with 'simple' fractures not requiring surgery attracting the lower end of the award. Foot Injury (Mild) £1,000 - £11,050 Short-term damage and from which the victim is expected to recover. Foot Injury (Moderate) £18,500 - £52,900 The higher end of the award is made when there is reduced movement or possible long-term issues for the victim, including pain. Moderate brain damage £32,725 to £166,000 The extent of the brain damage determines compensation amount. Moderate to severe brain damage £166,500 to £215,350 Measured by long-term effects on quality of life. Moderate neck injury £6,000 to £29,250 Compensation amount is determined by the severity of the injury sustained, including any reduction in function as well as pain. Severe neck injury £34,575 to £112,950 Compensation amount is driven by the severity of the damage to the neck, and pain with the long-term quality of life loss. Moderate back injury £4,500 to £21.100 Compensation amount is set by ongoing pain, as well as the extent of the initial injury. Severe back injury £29,475 to £122,350 This looks at pain, the ongoing effects of the back injury and how this will affect you in the future. Don’t forget, there is also compensation relating to the loss of earnings, any care costs, travel costs and other expenses that can be attributed to the pavement accident. Frankly, you need a team that is experienced and skilled, and one that you can trust to have your best interests at the centre of the case at all times. Accident Claims boast one of the best track records in helping people to claim compensation for personal injuries as a result of a pavement trip, car accident or any kind of accident that was not their fault. But we know that the main reason for our stellar success is that we always place our client at the centre of everything we do – and always will. We are with you every step of the way, no matter how long the process takes. We will talk you through every step, keep you informed of how your case is progressing and ensure that you get the best service throughout. And on top of all this, you have our word that our services are offered on a genuine no win, no fee service. Have you tripped on a pavement? Have you been hurt as a result of a slip or a trip, or by falling on land owned by a council or local authority? Did this happen to you on privately owned land, such as a supermarket car park or walkway? If so, you could claim trip or fall compensation. If you have, and you were hurt, you may have a claim for compensation. But you won’t know until you call our team. With just a few pieces of basic information, they can put you in touch with our team who can go through the free consultation process with you. At the end of this conversation, you will know if you are in a position to make a claim for personal injury compensation after tripping on a pavement or slipping in a car park – or wherever you were hurt. It easy to assume that it was ‘just an accident’ but it may not have been. It may have been an accident that was avoidable if the company or body responsible for the car park or pavement had maintained it to a safe standard. And there is no financial cost to you finding out more about making a claim, especially as the initial consultation is free and with our no win, no fee service too. Our fees are capped at 25%, as per legal requirements so that means you would keep, as a minimum 75% of your compensation settlement. With our customer focus driving our business forward, our customer service standards are exceptional and, unlike anything you will experience elsewhere. With nothing to lose, contact us today on our 24 hour, 7 days a week helpline 0800 073 8801 to find out more or to start your claim for pavement injury compensation. If you have been injured due to the council or your local authority contact us today to see if you have a claim. Find out how much you could claim for a slip trip or fall. If you have fallen, wherever it may be, it is important to know what to do. This NHS guide should help. Treating a broken bone may be tricky. Read about first aid for broken bones in case you think you may have sustained one. HSE provide good guidance on trips at work. If you have tripped on a pavement at work this may be useful information.